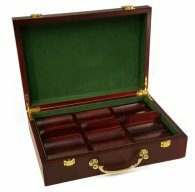 PokerChips.com uses proprietary online customization design software which enhances your shopping experience. All templates and artwork are copyrighted and maybe not be used outside of PokerChips.com platform without written consent. Customers have a wide range of options to manipulate your artwork template’s text, logo and images. Due to the variations in the quality and calibration of your screen monitor, the image rendered online may appear different than that of the final product. We have various pre-press steps to ensure high quality output, but in instances where coloring, alignment or other elements of your design are crucial, pre-production samples are available for a nominal cost. Please “Chat Now” or “Contact Us” for more information. Placing orders online via PokerChips.com website is the fastest, most reliable and secure method to transmitting your order to us. Our customer service representatives are available daily to answer any questions you may have via “Online Chat” or “Contact Us”. If you prefer to submit your order via email or phone; one our representatives will be happy to assist. Changes to your order should be confirmed with one of our representatives as soon as possible. If the change is relevant to a custom made product; changes made after the original product(s) are produced may be required to pay to be re-manufactured. Customers will be responsible for any return shipping charges as well as the cost to ship the new product for any changes made to stock products after shipping has occurred. Visit our Frequently Asked Questions (FAQs) page for answers to the most common questions. Expedited production and RUSH service are available on most products to include custom products. RUSH services is a guaranteed delivery service. It is the customer’s responsibility to choose the most expeditious shipping method when selecting RUSH services. In the rare event a RUSH order doesn’t meet its delivery date, PokerChips.com will refund the RUSH cost only. If you have any questions or concerns with your ordering meeting a specific deadline, please “Chat Online” or “Contact Us”. Orders are not validate until both payment is received and approved by management. “Order Confirmation” email and status is only acknowledgement that our system has received your order. Payment for products must be made prior to shipping. Any deviation from this requirement must be approved by management. Pricing is subject to change without notice. PokerChips.com reserves the right to refuse or amend any order in which pricing is incorrectly displayed on the website or calculated in the shopping cart. We will notify via email in the event this occurs on your order. 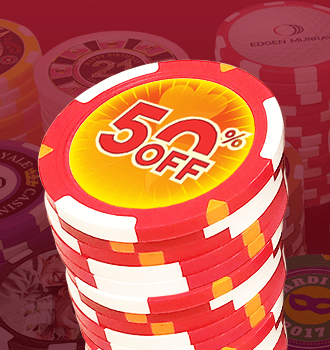 Promotions, discount codes and/or coupons are subject to validation and PokerChips.com reserves the right to refuse any discount at its discretion. Invalid promotions, discount codes and/or coupons will not be accepted. In the event an erroneous discount is used, PokerChips.com will contact you to resolve the issue before the order is accepted and approved. When placing an order please select a shipping method desired. 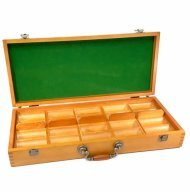 Due to our high shipping volume, our rates are optimized with Fedex with the density and heavy weight of poker chips and poker chip cases ensuring you get the best rates possible. PokerChips.com and associated companies do not assume responsibility for shipping delays or damage by shipping carriers such as Fedex, UPS and USPS caused by weather, address correction or other extraordinary events not within our control. If your project is time sensitive, we recommend choosing an expedited shipping method to arrive a day or two earlier than your desired date. 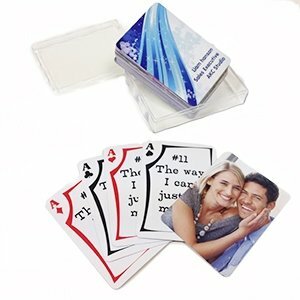 PokerChips.com and associated companies reserve the right to modify shipping methods in order to meet due dates requested by customer; however, customer may be responsible for additional shipping charges. In most cases, PokerChips.com will make every effort to contact the customer for approval of additional charges. Your account information can be accessed via “My Account” page when you login to PokerChips.com website. Your billing and shipping addresses, recent orders, custom templates and other associated account information is accessible and can be updated. PokerChips.com reserves the right to use custom designed customer images and layouts created via online design software or by our graphic design team and manufactured at our production facility. Customers who wish to not have their design displayed on our website or in our marketing collateral should “contact us”. If a request is made, we will make every effort to honor the request; however, due to the extremely high volume of orders in our facility we cannot guarantee the request will be effective. Placing an order acknowledges these conditions.